On a quintessential summer Saturday in Salt Lake City, I found myself wandering the popular Craft Lake City: DIY Festival in the capital city&apos;s downtown Gallivan Plaza, empty-handed. I asked myself, "What would make this day perfect?" The answer was cold brew, of course. Luckily for me, Utah&apos;s newest, brightest star in coffee was a short walk away. Three Pines Coffee, owned and quite frequently operated by Nick Price and Meg Frampton, serves the most delicious and consistent coffee on ice. It&apos;s concentrated and fruit-forward, has an unrivaled mouthfeel and is only made more indulgent by cream. Three Pines prides itself on wandering the maze of exact espresso pH readings, with refractometers lying around like spare auto parts. It pays to be science-y sometimes. Come winter in downtown Salt Lake, the allure of Three Pines is just as strong. Luckily, all the shops&apos; identities tend to overlap through coffee and delicious food, with the hopes of making things that taste as wild and beautiful as the landscape. But Nick and Meg&apos;s shop is just one uniquely shaped part of a bustling community of coffee pioneers in Utah. In my mind, every shop worth visiting performs a specific function in our little local community: each has its own identity. Perhaps you fit into one, or perhaps you long to be a fly on the wall to the range of cultural niches and hotbeds of SLC. You can. Locals proudly call it "Small Lake City" because no matter where they go there are people they know personally, or at least recognize from Instagram. Coffee shops in Utah are the modern town square around which everyone gathers; as a visitor in this city, it&apos;s worth paying attention to the baristas, because they just might sit next to you that night over a cocktail. Baristas are kind-hearted, humble folk who offer up pointers on food, hikes, and how to navigate Utah&apos;s liquor laws. I know, because I used to be one. Eager, capable and smart, seasoned barista Simon Zivny is not easily missed, even in a crowded coffee shop. He&apos;s a thin, tall, handsome blonde, often sporting a mustache and a grin while sharing a story from his recent adventures. Worth noting to foodies, his grandmother was the original pastry chef for Alice Waters&apos; renowned Chez Panisse in Berkeley. Zivny most commonly occupies his sparse free time by getting lost in the wilderness, conquering the west desert or climbing a new route in one of the Cottonwood Canyons of the Salt Lake Valley. In fact, as I wrote this, Simon became a traveler in another landscape, walking from Mexico to Canada along the Pacific Coast Trail. Simon moved to Utah from Portland and started working for a small roaster called La Barba as soon as he arrived in SLC. In the days when this local, third-wave, trend-setting, home-grown roaster (now stocked in major grocery chains across the state) was just a tween, I was a barista for the first shift of their first cafe. These were simpler times, when the company name was in regular English (Charming Beard), and they used the "Valencia" filter on their Instagram. Now they have a fancy cafe in an upscale tapas restaurant downtown and opened a flagship storefront in Draper, a few miles south of Salt Lake City, late in 2017. I met Simon soon after that first shift in 2014, where we worked together often. Simon is a career barista, always setting the bar higher for himself than anyone else expects, offering deeper understandings of what good coffee should be like. Simon is the kind of person who leaps at opportunities as soon as they are presented, without a smidge of worry. He rises to every challenge before him and does a killer job at making the best of each scenario. A couple years after moving to Utah, Simon took over the operations of one of La Barba&apos;s small cafes on campus at the University of Utah. 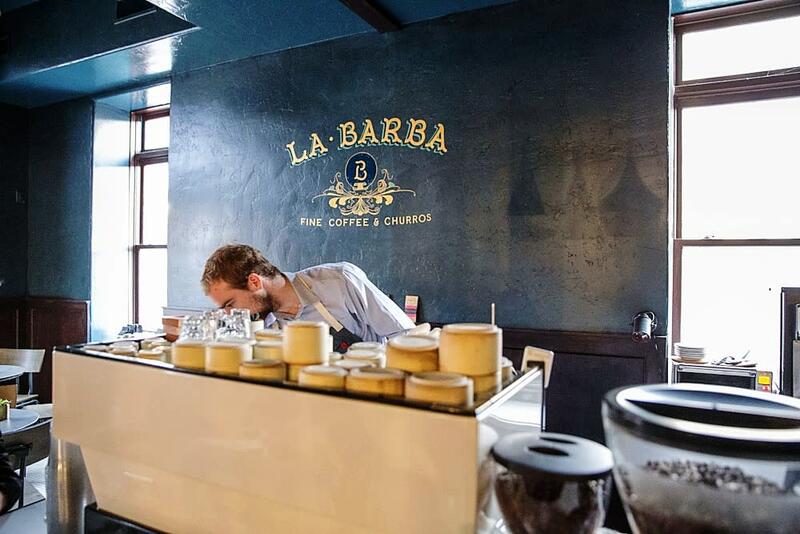 He rebranded it himself, hand drawing menus and logos in his whimsical outdoorsman scrawl to create what he calls Coffee Lab. He brought a new roaster to SLC called Extracto out of Portland, and featured Blue Copper, a local roaster focused on lighter profiles and personal relationships with Latin American growers. Simon runs his shop himself: a small counter-service stall in the University&apos;s Pharmacy School. He fostered a niche community within the building and made truly outstanding coffee the gold standard for those who worked nearby. No more breakroom Folger&apos;s for those who knew the secret of Coffee Lab, that oasis tucked away on the upper campus where Simon works his brainchild every weekday. 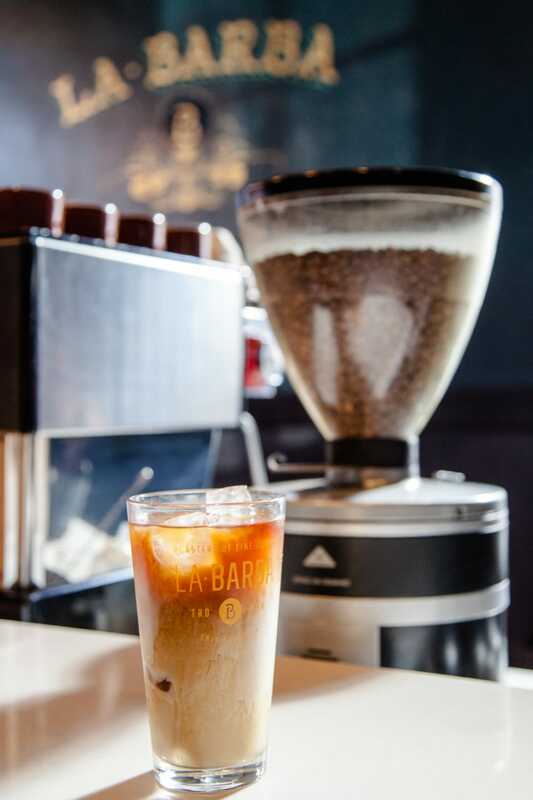 Coffee Lab is the perfect example of what the coffee community in Salt Lake is made of: a seized opportunity. Coffee in Salt Lake would have never been a realistic idea if it weren&apos;t for something as simple as opportunity. 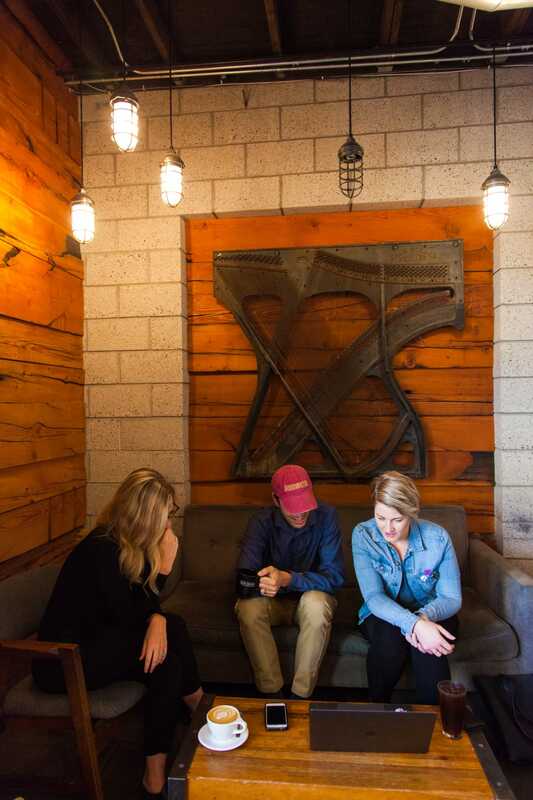 Whether it was a perfect location at the perfect moment, or the perfect opportunity arising from the kind of relationships the community tends to foster, coffee has found a foothold in Utah&apos;s northern cities, and is slowly beginning to flourish statewide. Taking what has been given to them, each of the shops in town has run its dreams past the bounds of what people thought coffee could be in Utah. Each shop has its own identity. Luckily, all the shops&apos; identities tend to overlap through coffee and delicious food, with the hopes of making things that taste as wild and beautiful as the landscape. Opportunity knocked seven years ago when The Rose Establishment opened its doors to the Rio Grande/Gateway neighborhood (on the southwest corner of the central business district) in a beautiful warehouse space, circa 1910. Hardwood, subway tile, huge windows, and an open concept kitchen design made this shop (serving San Francisco&apos;s Four Barrel Roasters) the perfect gesture toward what the coffee community could become: simple, warm, welcoming, and of the utmost quality. Erica O&apos;Brien, the owner of The Rose, cares a whole lot about everything: from the materials that make up the environment, to the ingredients that make up the menu. She makes decisions carefully because The Rose sets standards high for stewarding the opportunity it has been given, and for extending that same opportunity to the city within the walls of her shop. The Rose is everything a standard-bearer of a growing coffee community should be: it is spacious, bright, simple and offers excellent music, diverse food (including gluten-free, vegan, and vegetarian items), and a beautiful patio. The chef grows herbs in a rooftop garden. The baristas make everything from scratch, including cashew milk as their dairy alternative. Their coffee program has garnered national attention and respect in the hands of general manager Cody Kirkland. Erica and Cody see The Rose as an opportunity for something better, a space with positive and warm energy that is ahead of the curve in an area of the city on the cusp of redevelopment. 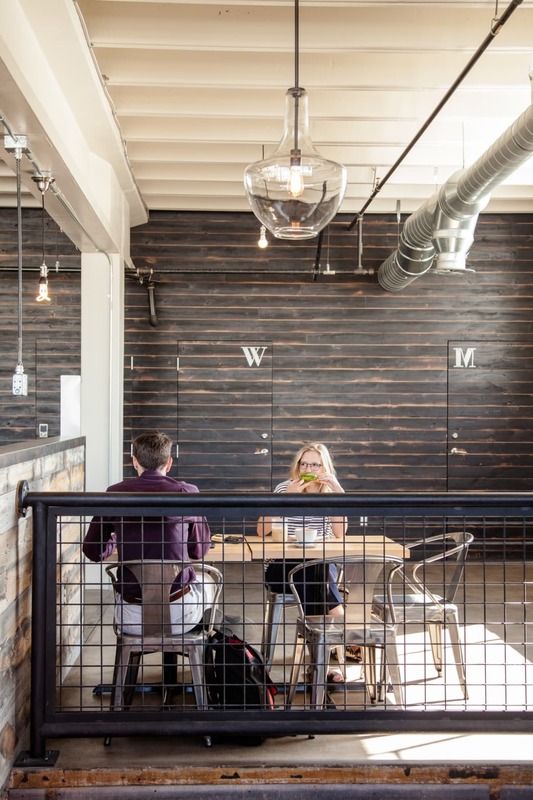 The building itself had been used for a variety of industrial plants, but Erica&apos;s seven-year-old project revitalized the space, making it a home away from home for all of Salt Lake City. The Rose is where I go when I want to be at home with all my friends. Perhaps you&apos;ll see Simon at The Rose, often found at the counter watching and chatting as baristas whip around concocting house-made beverages from fresh coffee, tea, curious reductions, elaborate nonalcoholic spirit emulations and bitters. The coffee industry that we have today is comprised of several waves of methodology. The first iteration of these waves was made up of diners, often called coffee shops, but serving full breakfast and deli menus. Espresso was rarely found in diners at the time of the First Wave, but as the second wave began to roll in, hulky brass machines and a reinvigorated zeal for cappuccinos swept the nation&apos;s metropolitan hubs. 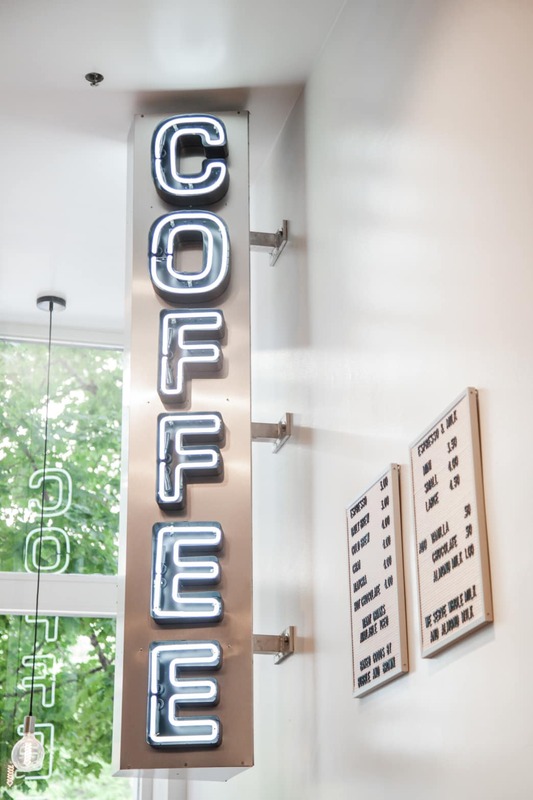 People wanted to know not only what makes a good cappuccino, but also where the coffee that makes them comes from.The opportunities that make up today&apos;s third-wave coffee community in SLC drew from the shops that arose in the second wave of the 80s and 90s. 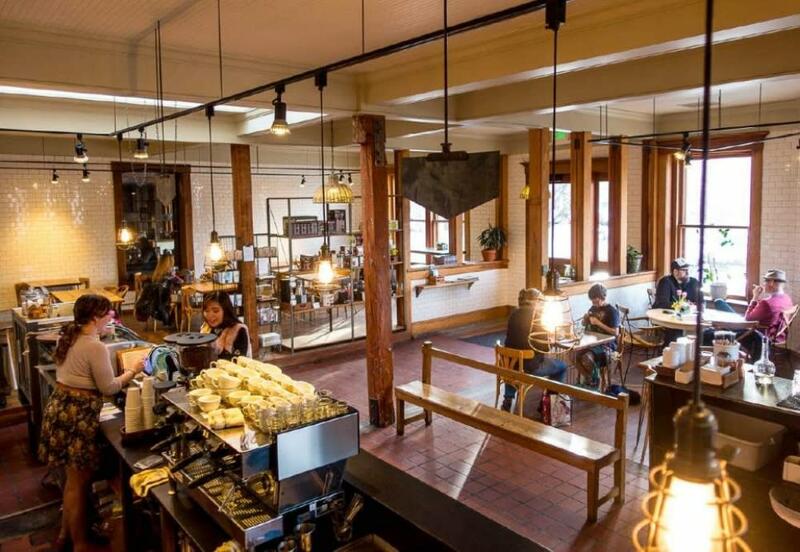 Shops like Jack Mormon, Coffee Garden, Salt Lake Roasting Company, or Caffe Ibis paved the way for coffee culture, rather than it being some distant rumor of coastal coffee culture, and these shops remain integral. Coffee Garden lives in legend as the only local shop to push Starbucks right out of its neighborhood. 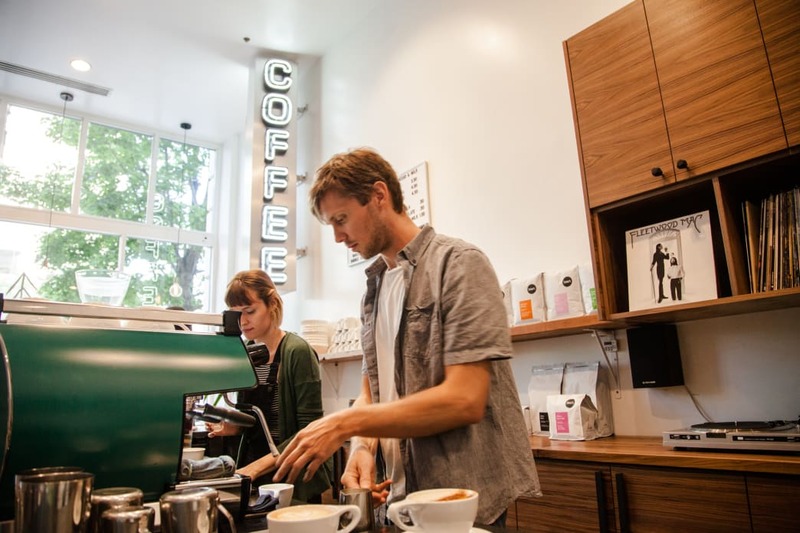 Ironically, two of Salt Lake&apos;s high-end roasting powerhouses are within a block of each other. Publik and Blue Copper both have their flagship stores near the intersections of Main Street, West Temple, and 900 South and both operate in unique and inspiring ways. Both these shops exemplify the third wave of coffee: education, honesty and idolization of the coffee itself. Publik seized an opportunity to make something great of a giant warehouse in a developing neighborhood. Publik&apos;s flagship is a behemoth of communal workspace, securing its spot as the environmentally responsible shared workspace coffeehouse of the 21st century. Now, they have two more shops: one at Salt Lake&apos;s 9th and 9th neighborhood serving full breakfast and lunch menus, and another in the Avenues neighborhood that is a small and bright shop perfect for dog walks and breaks from gardening. Simon used to sling espresso every weekend at the Avenues Publik, working a total of seven days a week (imagine smelling like coffee every day of your life). The truth is that opportunity spews right out of the ground in Utah, ringing true to the old adage that this high-elevation desert plain is a promised land: Zion opening her arms to the pioneers who settled their shops here. No shop in Salt Lake ever feels wrong: Every time I step into The Rose, Three Pines, La Barba or Blue Copper, I know exactly what experience I will get from them. The traveler would only appreciate this more, as there is often so much left to guesswork when on the road. Imagine choosing a coffee shop like you choose a movie: What am I in the mood for? How do I want to feel? 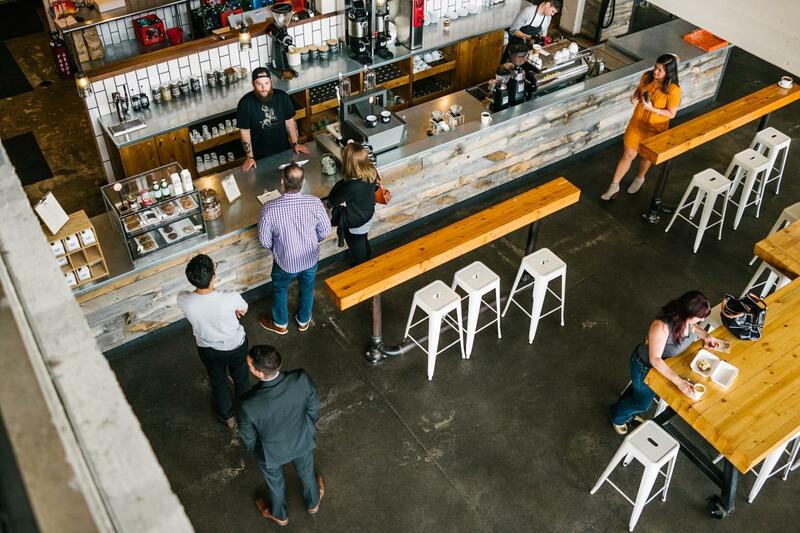 This is how you choose a coffee shop in Salt Lake City. Opportunities can be big, like summiting nearby Mount Olympus, or heading into the meeting for which you&apos;ve been preparing for the last two weeks. Or they can be small, like visiting Cody at The Rose and chatting about Larry David or picking up the perfect espresso at Coffee Lab. Opportunities can be lasting, like getting to know Reagan at Publik, or Zade at Blue Copper, or Joe at Three Pines. You just might run into any of them at any other cafe in town, or maybe you&apos;ll find them at a bar that night with a daiquiri in hand. In the case of Zade, he might be making that daiquiri and asking how the cappuccino he made you that morning went over. These are the people who run the city&apos;s caffeine hubs. In a way, they are everyone&apos;s best friends. Best friends that you also happen to tip. So here&apos;s a big welcome to Small Lake City, and on behalf of the baristas that make it run day after day, I hope you feel at home. Written by Austin Wright for Utah Office of Tourism.